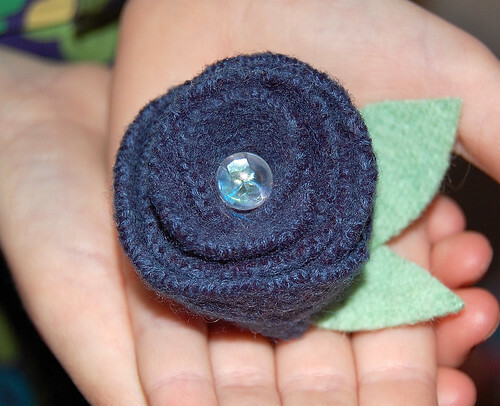 A little felted flower, originally uploaded by indiaeden. I made this for Eden to wear on her beret,but now she can't find her beret! Made from felted wool scraps and a button. I really need to learn how to do this! Little flowers would look great on my bags! Oh yes Mary, little flowers on your bags would be lovely. Lovely flower and poor little lost alone beret!! !